What makes a beer worthy of a gold, silver or bronze award? The World Beer Cup recognizes brewing excellence in 101 categories but does not automatically award the top three entries in a particular category. When judges determine that a category contains three excellent examples of the style, they present gold, silver, and bronze awards for the first, second, and third place beers, respectively. Judges may choose not to designate any awards in a category if all beers entered in that category are significantly out of style or have major defects. The Competition Manager will cancel judging in any one category if fewer than three entries are received. Also, judges may grant an award in any one or more of the three award places without granting awards in all three places. For example, judges may recognize a beer as a silver or bronze award winner; yet not grant a gold award. Gold A world class beer that accurately exemplifies the specified style, displaying the proper balance of taste, aroma and appearance. Silver An excellent beer that may vary slightly from style parameters while maintaining close adherence to the style and displaying excellent taste, aroma, and appearance. Bronze A fine example of the style that may vary slightly from style parameters and/or have minor defects in taste, aroma, or appearance. Effective in 2018, the World Beer Cup will no longer award Champion Brewery awards. With the continued growth of the competition, this change allows us to focus all of our judging and staff resources on a flawless execution of the core awards—gold, silver and bronze across 101 different style categories. The World Beer Cup Competition Manager will select judges from a list of internationally recognized brewers, consultants, industry suppliers and writers. These individuals have been selected on the basis of: (1) industry and peer recognition; (2) knowledge of beer styles and the brewing process; (3) flavor perception; (4) sensory training and prior judging or beer evaluation experience; and (5) judging demeanor. 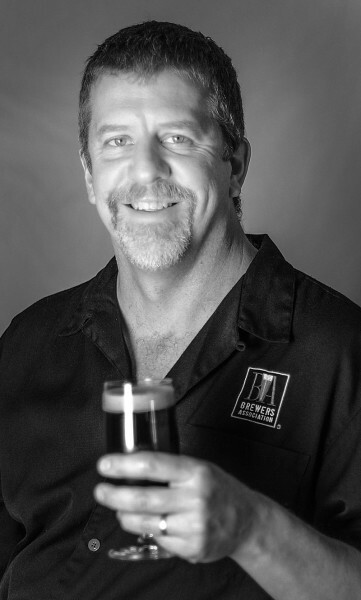 Interested persons wishing to be considered as a judge should send by email a brewing industry vita or résumé and three letters of recommendation (all in English) by March 31 of the year before the World Beer Cup to Chris Swersey, World Beer Cup Competition Manager. Prospective judges must communicate in fluent written and verbal English, must have formal sensory training, and must participate in regular flavor panels or competitions. The World Beer Cup judging takes place in four sessions over the course of two days during the Brewers Association Craft Brewers Conference and BrewExpo America®. Judges are assigned by the Competition Manager to judge beers in their specific area of expertise and do not judge in every category. Judges will seldom taste more than 30 beers in any one judging session and judges never evaluate their own product or any product in which they have a concern (a consultant cannot judge the beer of a client). Judging is blind, with no brand knowledge of any kind provided to judges. Beer entries are judged solely on their merits. Judges perform several important roles at the World Beer Cup. Judges determine winning beer entries that meet the stringent award criteria described above. They are also expected to provide concise, accurate written feedback to entering breweries about their entries, describing positive product attributes as well as defects noted during the competition. This indirect communication to entering breweries adds value to their World Beer Cup entries and provides a glimpse into the judging process.